1. What is Career Support Network System for International Students in Japan? “Career Support Network for International Students in Japan” is a system to enhance support for foreign student on their job hunting. Is only provided for university member with an official approval. 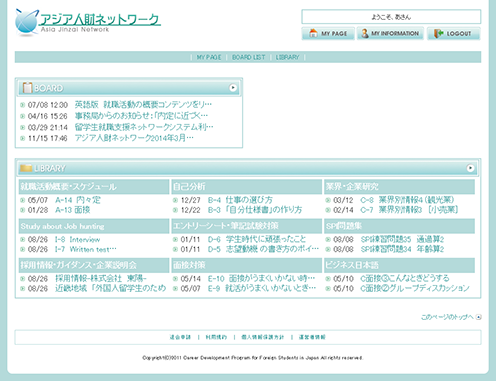 Those who wants to get a job in Japan, this system will show you about Japanese way of job-hunting and how to prepare for it. You can learn from the web within 24 hours. Also, we provide information about job openings which company is eager to hire international student and guidance, seminar, combined information sessions and so on. 4. Information of company information session for foreign student. 5. Information of combined information session. 6. Information of guidance and seminar for foreign student. 7. Information from university which you are attending. 8. Other information related to international student job-hunting. 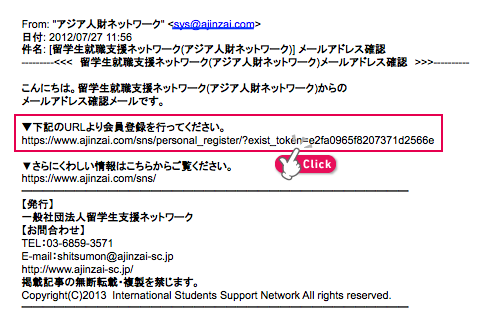 In order to use “Asia Jinzai Network”, you have to follow the procedure to get an ID and password. Find the university you belong to from the university list, then click and acccess to login page. Type the e-mail address that you got from the university. We will send you a confirmation. Please follow the URL. Enter a nickname and a password. Your nickname is only show on the private top pages. We will send your ID and password to your E-mail. 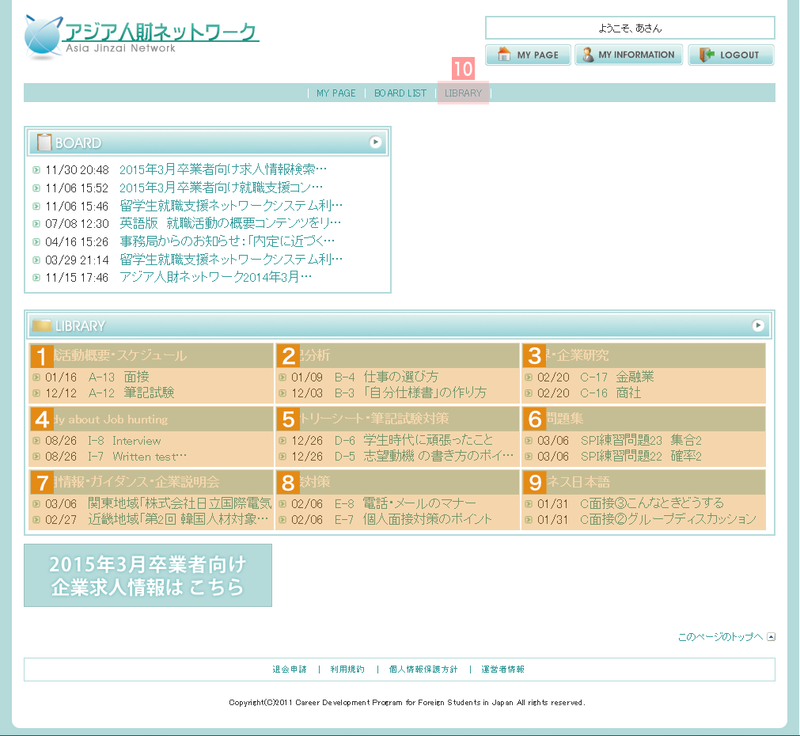 Now you can access all informaion of Asia Jinzai Network with your ID and Password. On the top page, you will see new contents for each section. If you want to see English content of outline and preparation for job hunting, please check and click4"Study about Job hunting". 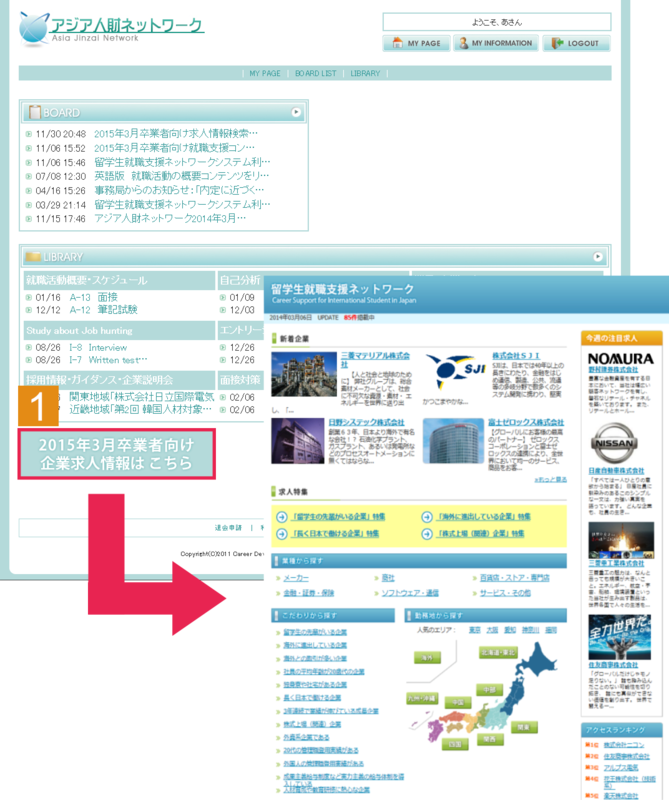 If your Japanese level is N3 of JLPT, you can also see content of9"ビジネス日本語 (business Japanese)". You can learn outline and how to prepare for job hunting. How to self analyze which require for writing application form. Information about various industry and company which matches you. You can learn outline and what you should do for job hunting in Japan in English. Basic information about application form and paper test. Efficient way to solve question which foreign student have hard time to resolve. Recruit information especially for foreign student. Basic information about interview and careful point which foreign student tend to miss or fail. For studying business level Japanese which require while doing job hunting in Japan. Research past content with LIBRARY function. The top page only shows new contents, so if you want to see past content, please follow the steps below. 2Choose what type of content you want to see and click research button. If you want to see English content, choose Study about Job hunting from category bar. 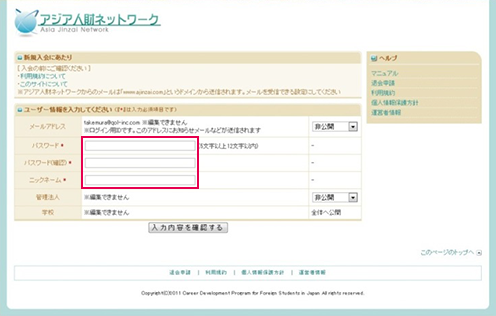 After understanding Japanese job hunting, let’s check Japanese company’s job information for foreign students. We also provide job information which hiring foreign students. To see job info, please click1. 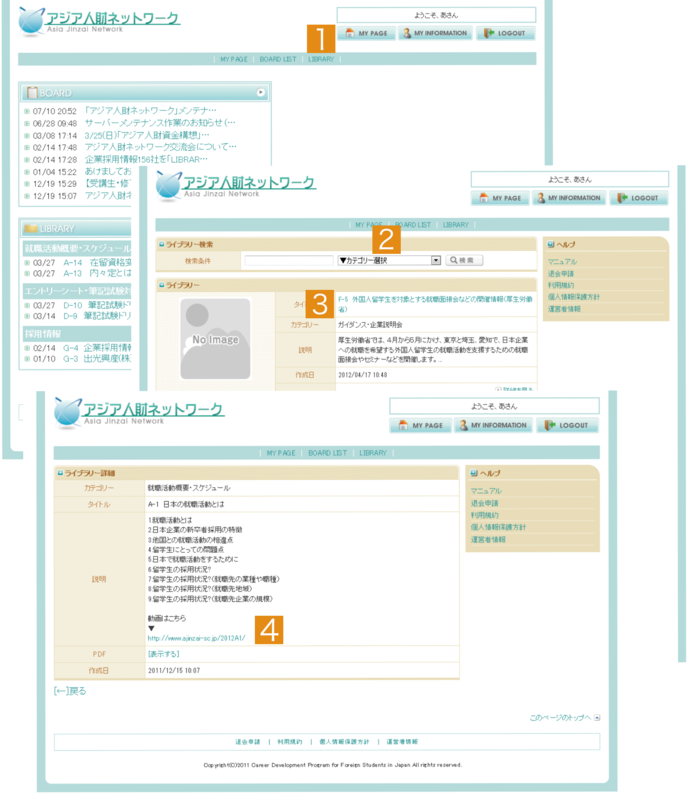 Then you can see the link with job information only provide for the foreign students uses this support network system. On the job information page, you can see how many foreigner works and how many foreign student were hired. Also, this kind of information is not usually open. These are written for foreign students. So check condition of company and apply actively.